Kiev Surpassed Its Puppeteers 5 out of 5 based on 11 ratings. 11 user reviews. On May 29, Ukrainian media reported that Arkadiy Babchenko, a Russian citizen and journalist living in Ukraine, had been killed in the Ukrainian capital of Kiev. Babchenko was allegedly found in his own apartment by his wife after suffering gunshot wounds that resulted in his death. Immediately (in about 20 minutes) after the first reports on the issue, Ukrainian officials claimed that Babchenko’s journalistic activities are the main motive behind the murder and accused Russia of being an instigator of the crime. The coverage of the incident was extremely pathetic. Multiple supporters of the Kiev regime and Ukrainian media had a filed day discussing and covering the crime and its details: how Babchenko was killed, how many wounds, feelings of his wife, friends and other issues. Babchenko was a colourless person. However, his death expectedly triggered not only the Ukrainian and Russian liberal audience, but also the entire international journalistic community. International organizations, including Reporters Without Borders, joined the story condemning the killing. The media hysteria continued raging the following day. However, on May 30 afternoon, the cheery decedent showed up at a press conference along with Chief of the Ukrainian Security Service (SBU) Sergey Gritsak and Prosecutor General Yury Lutsenko. The SBU chief claimed that the fake murder of Babchenko had been staged in order to counter an alleged Russian plot to kill him and so the hitman could be traced to the person who had given him the contract. This person, according to Ukrainian special services, was a local man who had been recruited by Russian intelligence. 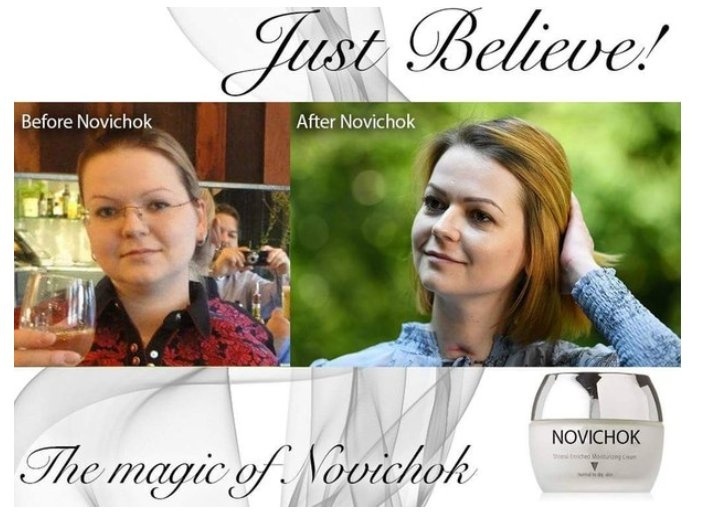 The methods of operation implemented by the Kiev regime during the first stage of this fake story was similar to those used by the UK over the Skripals case. At the same time, the “revive” of Babchenko less than 24 hours after his “death” (it should be noted that Yulia Skripal appeared public more than a month after the alleged poisoning) and the following explanations of the story by the SBU clearly show that the Kiev regime has no ethical and moral limitations. The faked death of Babchenko looks especially cynical because it was timed with his so-called “second birthday” as the journalist describes May 29. At this day four years ago when he narrowly avoided death reporting the conflict in eastern Ukraine. The entire story was orchestrated to achieve a maximum propaganda effect. The SBU announced that security forces had detained a Ukrainian citizen tasked by Russian intelligence to find a hitman within Ukraine. According to the SBU chief, the citizen received $40,000 to organize the crime. He allegedly approached several acquaintances, including war veterans, offering $30,000 for the contract killing, one of whom revealed the plot to the security services. The SBU revealed no identity or details about the detained person. It’s highly likely that this person will soon make statements accusing Russian intelligence or President Putin of plotting “terrorist acts” and “killings” in Ukraine. Ukrainian special services have many options to employ such a scenario as they’ve shown that the Kiev regime does not limit their activities by international law or human rights principles. Thus, the detained person can be a victim of torture and blackmailing or another fake crated for propaganda purposes. The SBU-staged death of journalist has faced strong criticism from the audience, international organizations and even mainstream media outlets. The Secretary General of Reporters Without Borders, Christophe Deloire, has condemnted the fake news story describing its as a “new step of a war of information”. OSCE Representative on Freedom of the Media Harlem Desir slammed Ukraine’s decision to disseminate fake news about the murder of Babchenko. “There can be few more glaring examples of ‘fake news’ than the deliberate misreporting by a sovereign government of a prominent journalist’s death. Relations between Russia and Ukraine are at an all-time low, following Moscow’s annexation of Crimea and the ongoing conflict in eastern Ukraine, and Russia has been accused of several recent deaths of Kremlin critics in Ukraine. This was theatre. Mr Babchenko had helped stage his own killing to help expose – said Hrytsak – Russian agencies who wanted the reporter dead. The Babchenko killing was just another act in an slow-burning half-forgotten war between Russia and Ukraine, a war, as in all others, where the first casualty was truth. Had Olga Babchenko known her husband was alive? His colleagues certainly did not. Somebody filmed the gathered staff of his news outlet watching the press conference. Journalists leaped and whooped. One man rushed forward to a wide-screen TV and caressed Mr Babchenko’s image. The Russian Foreign Ministry said it was happy Babchenko was still alive. However, accused Kiev of using his story as propaganda. Konstantin Kosachev, the Russian Parliament’s foreign affairs spokesman, compared Kiev’s allegations to the British claims that Russia was behind the poisonings of Sergei Skripal and his daughter, Yulia. “The logic is the same — to defame Russia,” Kosachev said. I fail to see how faking his murder would help catch the would be assassin. lol…. good point. If the man is “dead” the would be murderer is out of a contract job and can just go home. Sounds like a pretty lame fake cover story to provide a fig leaf for their attempt to create maximum bad press for Russia with the original “murder”. Logically there is no reason to assume that any of the story is true. Odds are there was no assassin although I feel sorry for whatever patsy theyre going to throw in jail for it. Собаке собачья смерть – thats what I said yesterday when I heard that he was killed. SF has an usually large amount of bogus articles today, I guess somebody in SF is ticked off about something. SF also has a few irritating, dumb, inbred, POS trolls on here – oh like you. You are blocked, you useless POS, cheerio. Seems a bit too amateurish to believe, but the Russians hiring a hitman to put some bullets in a dissident that they want to see dead sounds a hell of a lot more believable then using military grade and easily traceable nerve gas. Its good that the Ukrainians and this journalist fell on their asses with this kindergarten plot. Makes it harder for the West to pull off yet another 'blame Russia' stunt. With friends like these who needs enemies. So are the Ukrates claiming Russia sent an operative with a bag of cash to run around Kiev “asking about” for a Hitman to kill a public figure? I thought FBU were able to defeat Scotland Yard and poison monitored spies with chem weapons? Which is it? Are they bumbling klutz’ or cold war assassins? Radio Free Europe is not journalism. They are employees of the US State Dept. one needs nothing more than take a look at the new flag of the ukrainian security services, to come up with one certainty: that if some zionist or deep-stater in the US asks the ukrainian leadership to lick the ground they just stepped on, they would gladly do it all together. Do you feel as I do that there is a collective insanity in NATO and ‘wannabe NATO’ countries John. Surely the ‘ fantasists’ responsible for the Scripal fiasco and this one in the Ukraine would have been more successful in propagandising the ‘murder attempts’ if they had had the guts to actually murder their victims ? Is it possible that both events were planned and executed by the CIA/Ukranians with the connivance of rogue elements in the UK BUT in that scenario , surely Boris and co would have smelt a rat ? mmmm possible not ! Essentially, the US/NATO are having great difficulty with creating the ‘facts ‘ that will become the reality they wish to achieve. Probably it wasn’t an option. Killing that person, and his family members, would had caused problems with other people in the same position as Skrpal. I mean, the message would be “you betray your country and people and come here, we pay you good money but be prepared to be killed alongside your family with no notice, to strengthen our holy cause”. I think you can understand well the implications. As you say, possibly not. These “agencies” are able to perform operations without second or third parties knowing anything. Besides, we haven’t got a bit of information on how this operation developed and who involved. For all we know it could have been made without the brits themselves knowing, although this is unlikely and pure speculation. This is true imho, but not necessarily because they have opponents able to push back, but because the difference between their intended “reality” and the historical reality gets wider by the day. It’s like they have to invest 10 to push a lie that an opponent unmasks investing 1 for the above reason. Thank you for your replies John. They have much merit. What does occur to me is that the current standards of acumen within the UK security services are ‘piss poor’ , whether or not they were involved or not and added to that is the gullibility ( I hope ) of all in the government and media circles who accepted this charade. I believe it’s a common problem across western europe. Don’t forget, in these years we’ve seen a huge enlargement, both in size and scope, of what we may call private intelligence services. these agencies, whose only interest is profit, do not respond to any governmental or national entity, and they apparently enjoy total freedom of action (as in, they can kill or make people vanish with impunity). “Zionists”, masons and similar fauna increasingly resort to the services of such offices. The situation exacerbates by the day, since there is a rather porous border between them and the official, national security services. They pay better wages, and they bring in agents from those national services, which in turn bring in all their networks of relationships, contacts and sources. This is one of the lanes by which the dismantling of elected governments in favor of corporate dictatorships all over the west is happening right as we type. Yes I agree. A friend of mine used to work for GCHQ after she qualified and later on she moved to Serco where she headed a team analysing seized computers within the UK for Government contract. Christopher Steeles outfit being just one of many. …but Putin could have done this, or other things. I could have stayed in bed this morning but I did not. They should have kept him in a hospital for a couple weeks “fighting for his live”,…like an Ukrainian Skripal. Those West Ukranians, or some of them. They did tell them in what direction to point a Javelin? …did they? Putin could have turned around all the rockets so they inevitable would pick them up in the wrong direction. I am convinced Putin “could” have done this, if he would be as stupid as Waltzman. How about the day of the opening Russia match in the World cup? Russia has paid the propaganda price for killing him so now they have free reign to kill him, without public outcry. This traitor is not worth one bullet. One day the Ukronazis will kill him and Russia will get the blame for killing him…AGAIN. Yeah shades of Osama bin Laden huh? The half “hand in the cookie jar” smile on Baba-what-a wanko’s face is priceless. Where do they get these people from?